Trying to remember were you’ve been? Google can help. 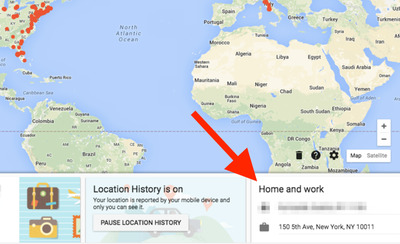 If you opt into being tracked, Google can record where you’ve been through Google Maps and your Android phone. 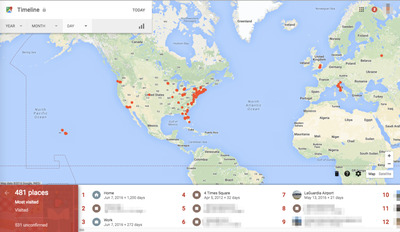 Everything is logged in an interactive map called your Timeline that’s accessible through your Google account. Your Timeline can be useful if you like to look back at where you’ve been. If you also use Google Photos, the photos you take on your phone will be shown in your Timeline alongside where and when they were taken. To access your Timeline, you have to turn on Location History. It can be enabled or disabled in your Google Settings on phones running Android 2.3 or higher. 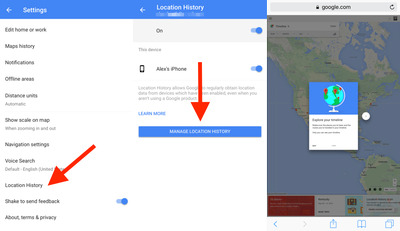 When you first set up your Android phone, Google will likely ask you to turn Location History on (it's not turned on by default). 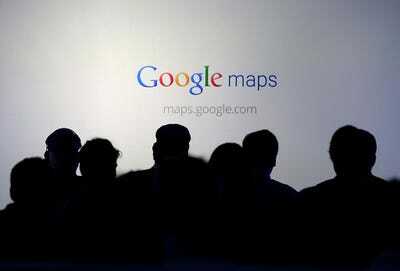 Google tracks your location through Google Maps, which also works on the iPhone and the web. 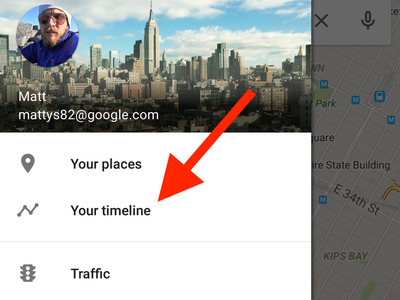 You can see your Timeline from your settings in the Google Maps app on Android. 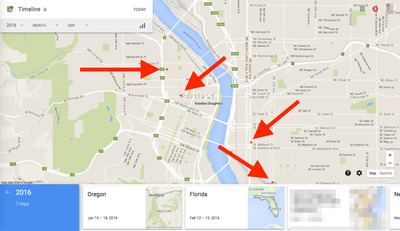 Finding your Timeline through Google Maps on the iPhone is a little more complicated. We recommend just going directly to Google's website from an iPhone or desktop computer. 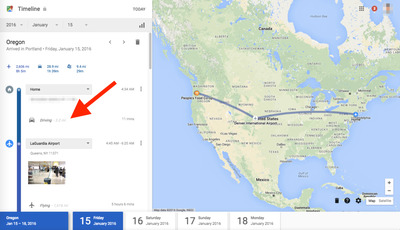 To see your Timeline from the web, go to Google.com/maps/timeline. Once you have Location Tracking turned on, you can see everywhere you've been on this map of the world. 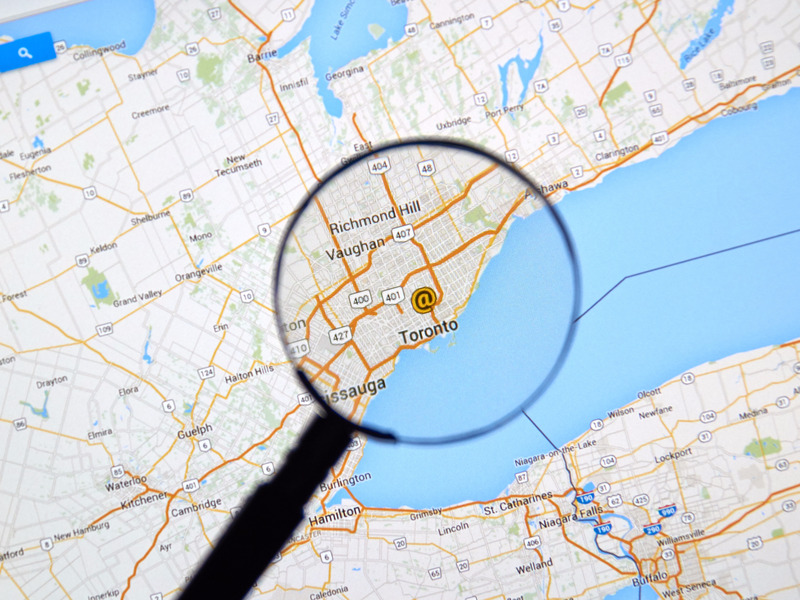 If you assign names to addresses for 'Work' and Home' in Google Maps or with Google Now, they will be labelled the same way in your timeline. You can zoom into cities and neighbourhoods from a certain day or time span. If you want to drill into where you went on a specific day, your Timeline will show you where you went in order along with specific times you moved around. 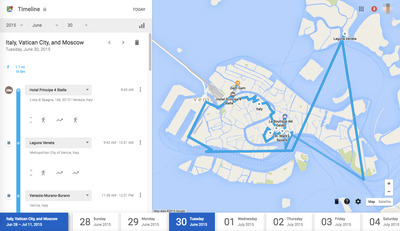 Google even shows if you walked, drove, or were in a plane. It's a good way to visually see how you moved through an area. 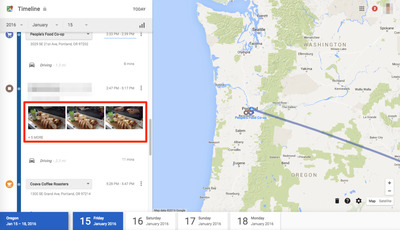 If you use Google Photos, your Timeline will show photos you took while you were at a specific location. If the idea of Google knowing where you've been is creepy, don't worry. Google says that your Timeline is 'private and visible only to you.' You can also turn it off or remove locations from your Timeline at any time. Google details all of the privacy related concerns you may have about your Timeline on its website.